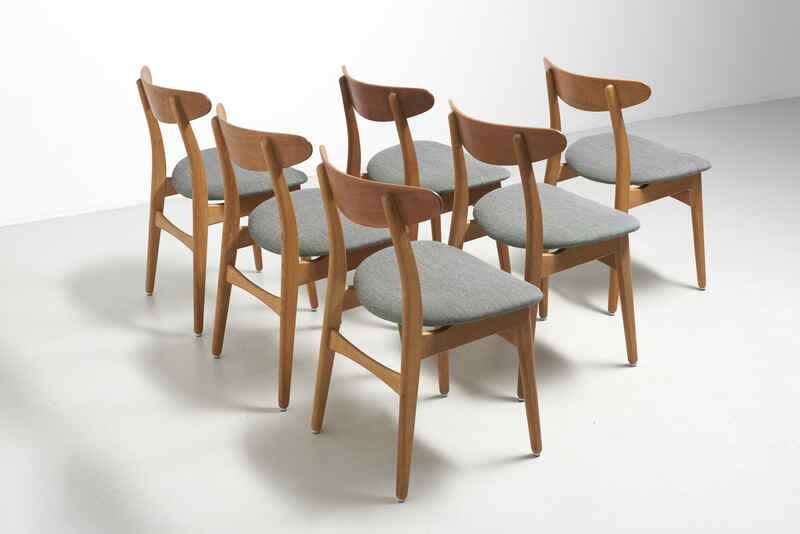 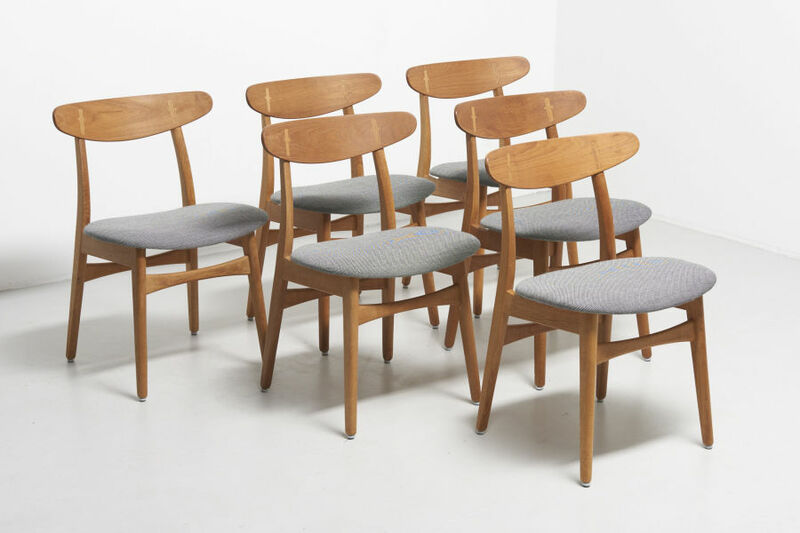 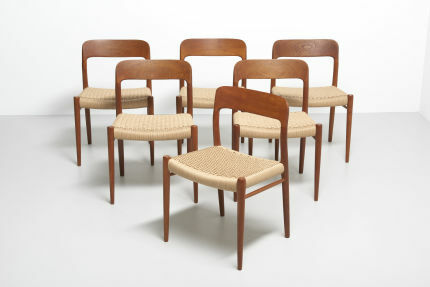 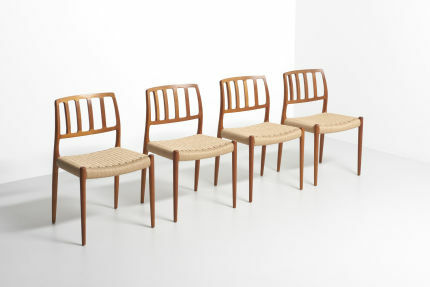 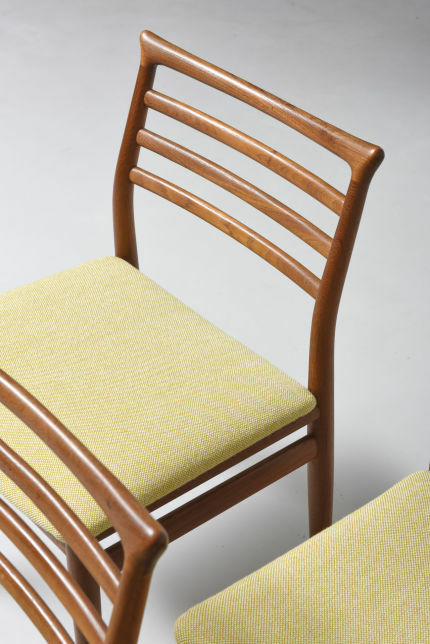 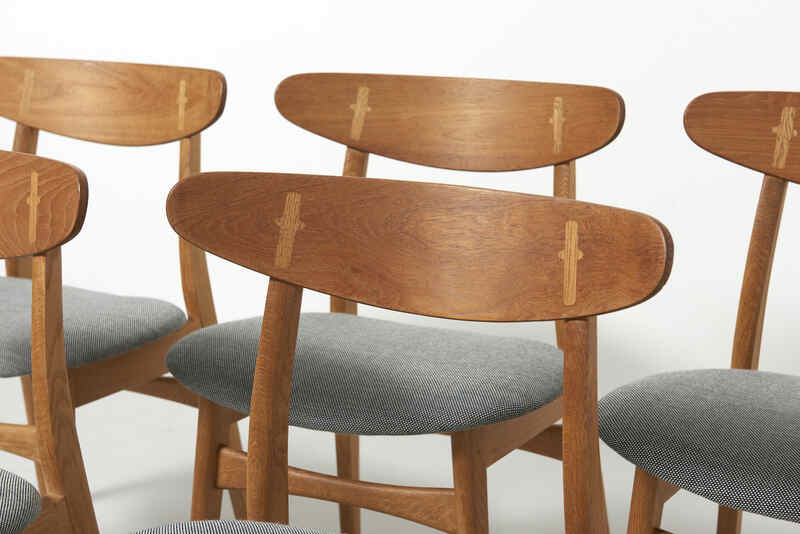 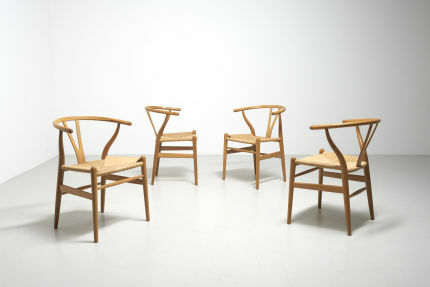 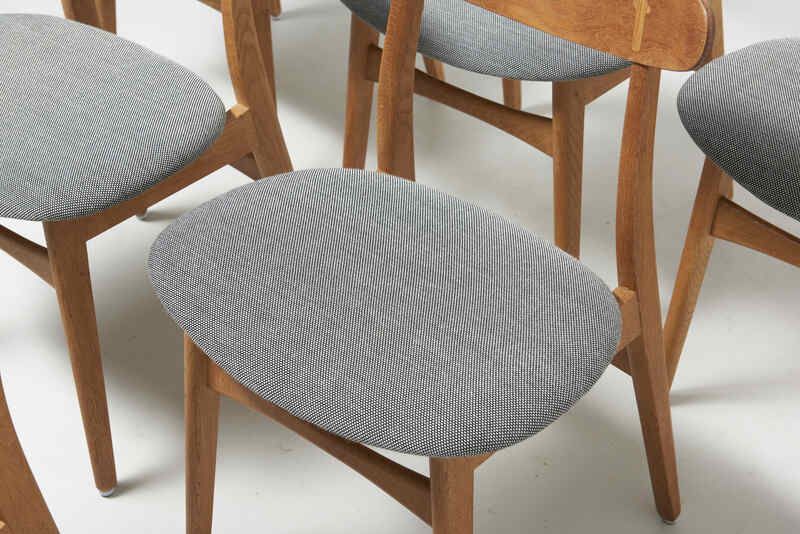 A set of 6 dining chairs in oak with a backrest in teak. 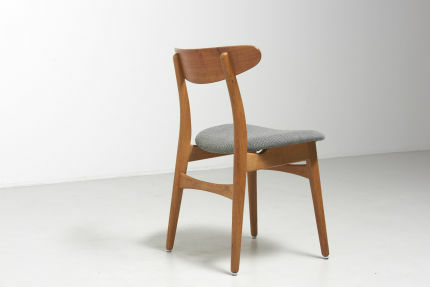 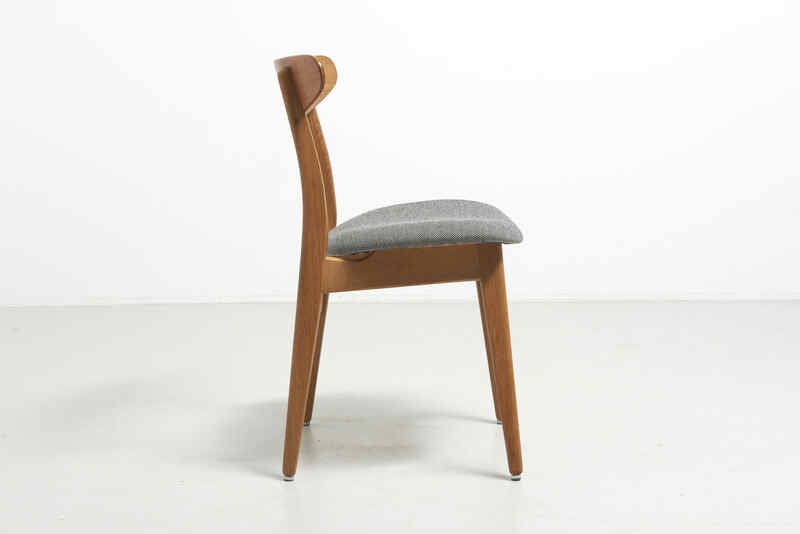 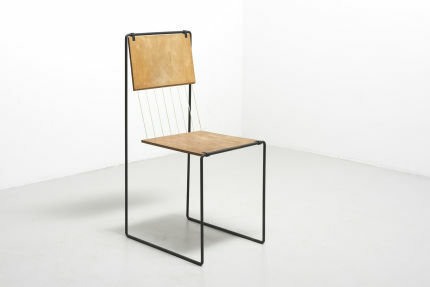 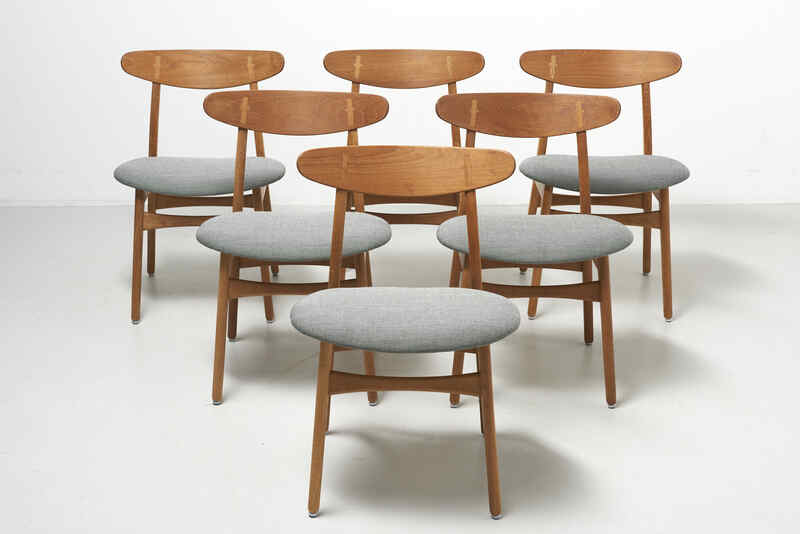 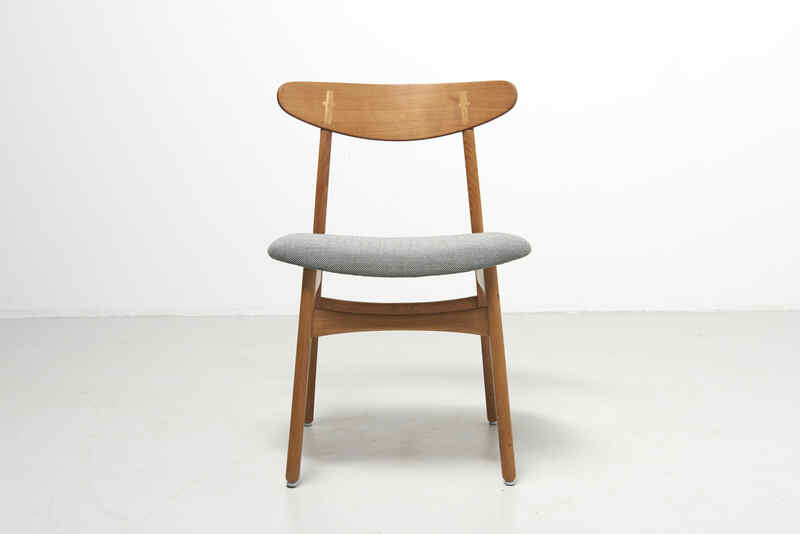 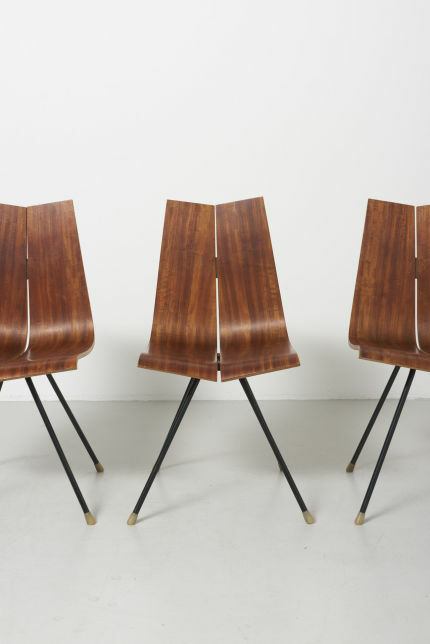 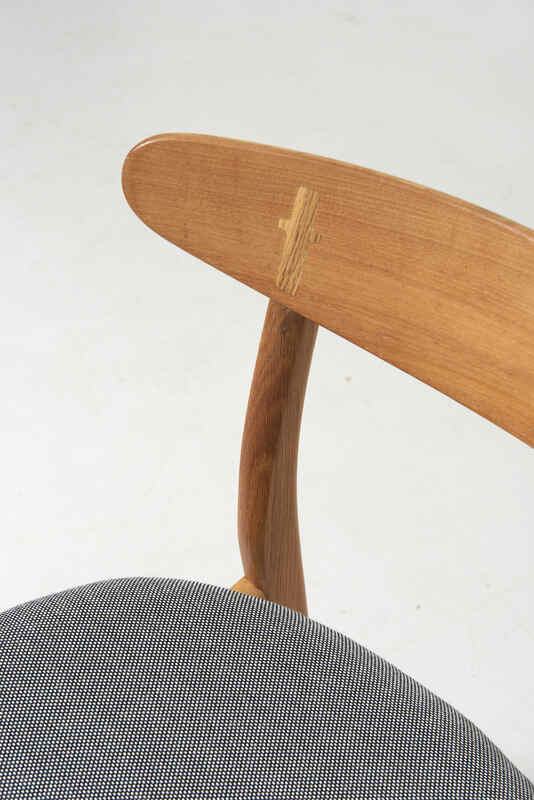 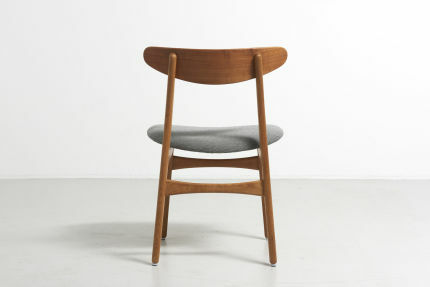 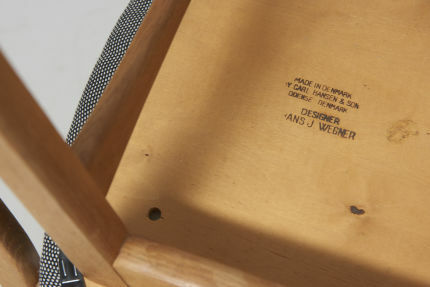 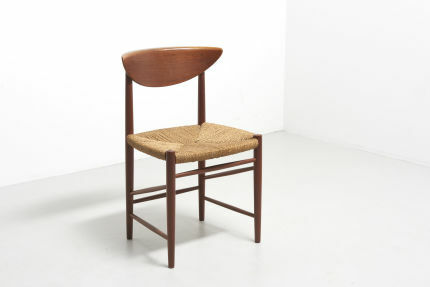 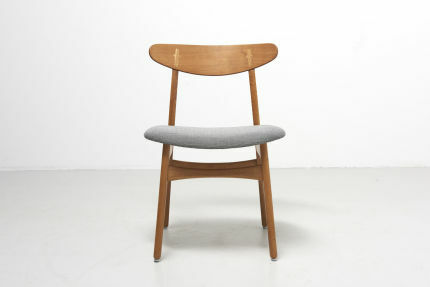 Design by Hans J. Wegner in 1952. 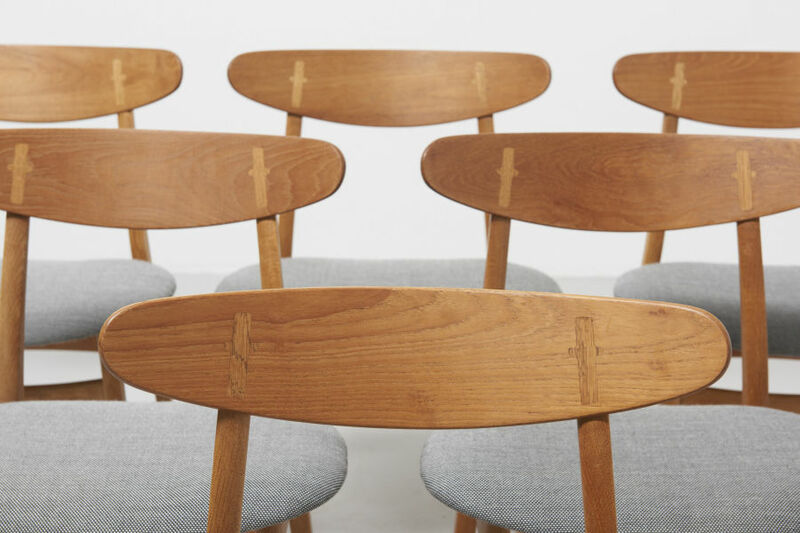 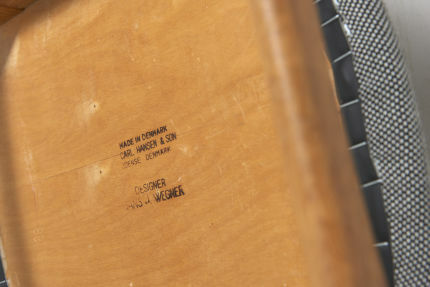 Model CH30, produced by Carl Hansen & Son in Denmark. 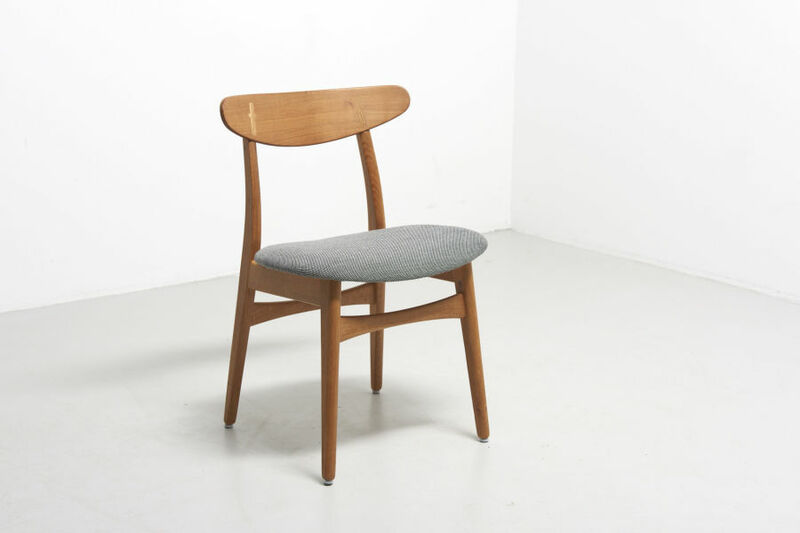 Reupholstered with Kvadrat fabric.